There's nothing like a pro basketball playoff drive coming down to the last games of the regular season. And if you want to view it in Chicago, it will have to be Friday in the Sears Centre in Hoffman Estates for the Windy City Bulls. The third year G-league franchise has been one of the best stories in the NBA feeder league this season, on a late season run in which they've won 21 of their last 29 games led by former Julian guard Walt Lemon Jr. and St. John's big man JaKarr Sampson, the latter who was with the Bulls in training camp. After a rocky start in which they lost 12 of their first 17 games as two-way point guard Tyler Ulis from Marian Catholic in Chicago Heights was injured, Windy City acquired Lemon and took off. 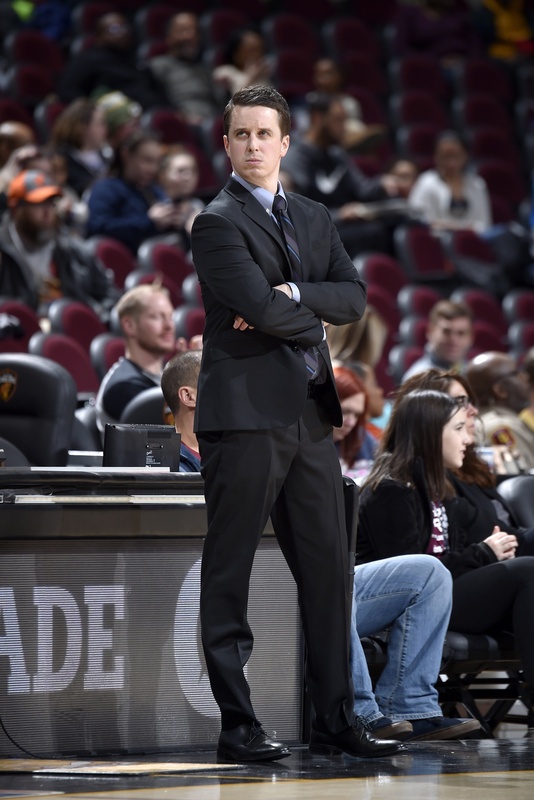 In the last 15 games, they've been as good as any in the G-league, seventh in defensive rating and second in offense, second overall in net rating, second in assist ratio, first in assist to turnover ratio and first in true shooting percentage with an aggressive, unselfish game directed by Lemon and innovative coach Charlie Henry. 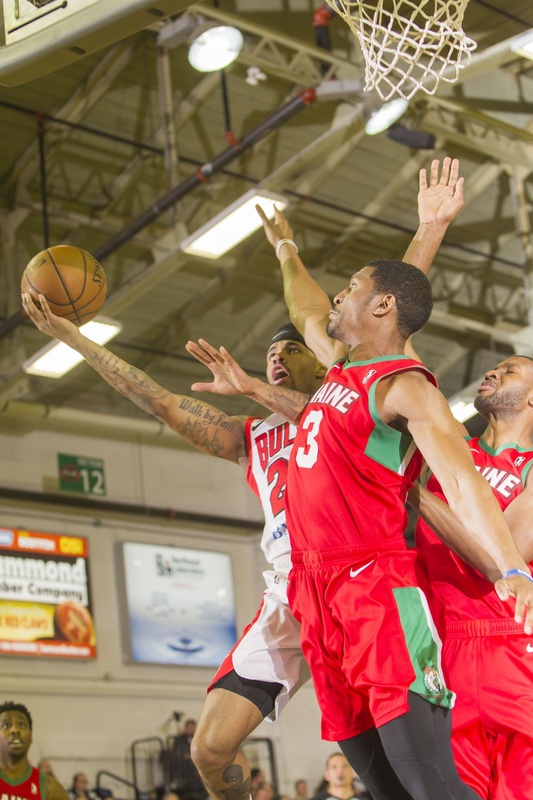 "We've been fortunate in the G-league context that we haven't had a lot of turnover since the first 15 games of the year," Henry said this week as the team prepares for Delaware Friday and a final home game March 23. "Early on we were transactional, trying to find some pieces. Once we got Walt, we've had a pretty consistent roster. Last year we were 23-22 and pretty close to the playoffs, but we didn't finish strong. This is as close as we've been." The G-league has a 12-team playoff format, six from each conference. Each division winner qualifies. Windy City leads the Central Division by a game and a half at 26-20 after Tuesday's 130-127 overtime win. There also will be three "wild card" teams. Windy City currently is fifth overall in the conference with a two-game lead and the tiebreaker over seventh place with four games to play. The teams with the two best records get a first round bye. The others play single elimination and then a best-of-three finals. "Making the playoffs for us would be a big step because it shows everyone you are on the right track on the business side. And going into next year when you are trying to attract players, it shows there's a certain competence here and a competitive product," said Henry. "It would be a great step in the right direction for us. We've played really well the last half. When Walt came we were 5-11 and we played Long Island his first game, who is No. 1 in our league. So we were sitting at 5-12 and from that point being 21-8 and really one of the top two or threes teams from that point on in net ratings is terrific. We've played well. 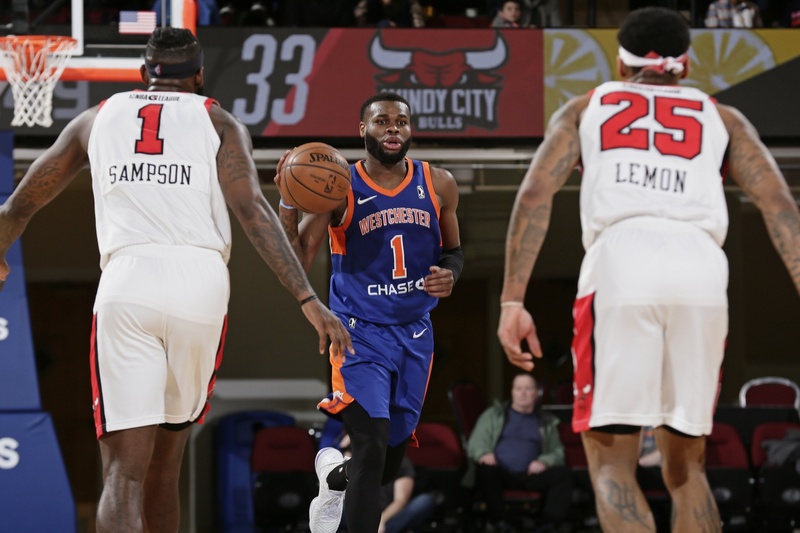 "Having Walt and JaKarr (Sampson), I feel they are two of the better players in the G-league," said Henry, who is in his second season with Windy City with a staff that includes former Bull Jannero Pargo. "We've also had other guys step up, Mike Mulder and C.J. Fair. They're both playing well and adding a (two-way) guy like Brandon Sampson when we lost Tyler Ulis and have brought Rawle (Alkins, also a two-way player) along. It's a nice team that plays hard, plays well and enjoys playing together." Though there are unique challenges to the G-league, and not just the modest pay, travel and accommodations. For example, there are the two-way players who split time between the NBA team, the Bulls, and the G-league team. Because they hold the supplementary NBA roster spots, they are the training priority players. So when they return to the G-league team they are featured. "I'll say the other 10 guys have handed it really well," said Henry. "Take a guy like (Notre Dame's) V.J. Beachem, who has played well. He goes from starting to a bench role depending on Brandon's (Sampson) and Rawle's status. The teams that understand it's part of the deal and you have to deal with it, those are the teams that thrive. But it's also a challenge for those two-way players because you may go up seven to 10 days, not play a whole lot and then come back here and be featured and play heavy minutes. And often that first game they come back they won't play their best; it takes a game or so to get that rhythm again." And there's the finances, which are limited in the G-league. So JaKarr Sampson, who plays a small ball center for Windy City, spent a month in China this season. A team in China lost a player and had an opening at a substantial salary for a one-month deal. Only two-way players are tied to NBA teams. So the 6-9 Sampson from St. John's took off for China for the month, leaving Windy City without its lead scorer. Sampson is averaging 21.3 points and 9.1 rebounds and fits the G-league profile of being that square peg that didn't get fitted in the appropriate round hole in the NBA. It would have been the career of Ben Wallace, who started in the NBA at small forward with the Washington Wizards. Then the Pistons made him a small ball center and he is a finalist for the Basketball Hall of Fame this year. "Coming in the league now (after being undrafted in 2014), he would play at four or small ball five, a good switch defender with a high motor and ball handler who can drive the ball and finish with an improving three," said Henry about JaKarr Sampson. ... our two best (non two-way) guys, Walt and JaKarr, they really have bought into being good leaders, showing the young guys the right way to work and approach to the job. Their approach to being a Windy City Bull has been really good. So Windy City survived and thrived with the versatility and flexibility not unique in the G-league until their taller Sampson also returned. "Defensively we've been good all year," said Henry. "We want to get teams reacting to us, aggressive in what we do impacting the ball and aggressive on switches. We want to be a team other teams don't want to play against and that starts defensively. Our pace numbers (20th) aren't the highest, but we don't give up easy baskets. Teams have to make two and three passes to score on us and offensively we want to push the pace. But we are looking to get great shots, shoot a lot of threes, share the ball and try to be tough defensively. "The unique challenge is every guy who is here for the most part has aspirations of being somewhere else," Henry acknowledged. "Managing that side is rewarding, but it can be a challenge if guys aren't bought into the team concept. For a team to function, everyone kind of has to get out of themselves a little bit and into the team. That's not denying they have ambitions and want to move on. But our two best (non two-way) guys, Walt and JaKarr, they really have bought into being good leaders, showing the young guys the right way to work and approach to the job. Their approach to being a Windy City Bull has been really good." A lot of times you fall into the thing where you think your environment is holding you back. In reality it's you who creates your own environment and you bring your habits with you. Which Henry agrees has allowed the team's late season success, but also combines with the G-league growth and development as a person. "Something we talk about is growth in this league for myself, for our assistants, for our players," says Henry, who was a Fred Hoiberg assistant at Iowa State. "I often tell our guys no one in our group is going to retire a Windy City Bull. We're all going to move onto different things, other places. We talk about it openly, that your habits you develop here you are going to take with you. A lot of times you fall into the thing where you think your environment is holding you back. In reality it's you who creates your own environment and you bring your habits with you." "Every team no matter the level has its challenges, and everyone has their days where they get sick of practice and sick of their teammates," Henry says. "It's the approach, the way you look at everything. We challenge them every day to keep a positive approach regardless of circumstances and to keep developing habits and when your best players are bought in, it's easy for everyone else to follow suit. You try to keep a positive approach and stay optimistic and then just have to get one team to like you and give you a chance." Getting up on stage for the playoffs, no matter how limited, is another step. It's trending up for Windy City. Walt Lemon Jr. has a problem. 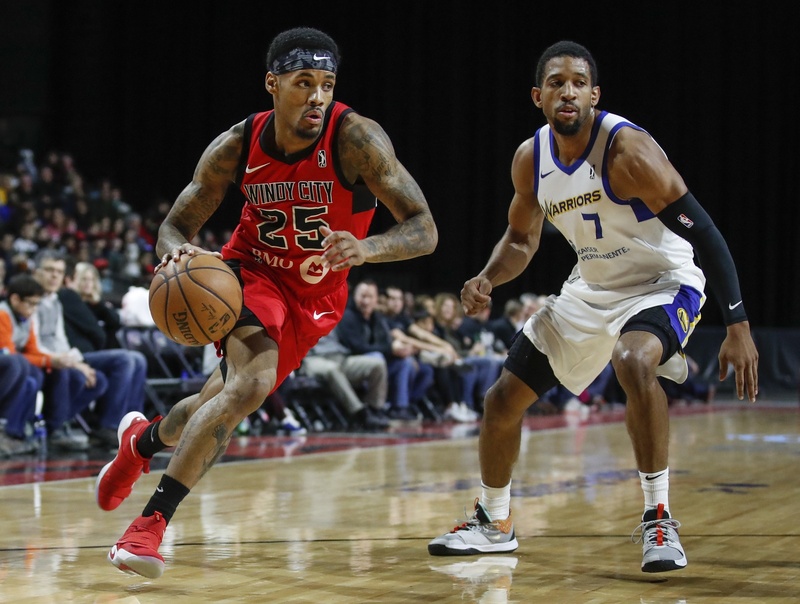 The Windy City Bulls point guard may be too good for the NBA. Well, at least some of those NBA teams whose priorities vary this time of the year. "The nature of the league these days is it's tough for guys like Walt and JaKarr (Sampson)," says Windy City coach Charlie Henry. "Some of the teams they can help. But I'm not sure they are necessarily looking for help at this point in the season." I do feel I am better than (many of the) guards in the NBA. It's about someone taking a chance and giving me a look. It's a delicate way of expressing the painful reality that late in the season many NBA teams are playing primarily for draft lottery position. "That's a challenge for them and the playoff teams are probably looking for more established guys," Henry added. "Then you are trying to bring along a 19, 20 or 21-year-old you drafted, and he probably beats that guy out." Which sometimes can be the paradox of life in the G-league, especially for someone like Lemon. "I do feel I am better than (many of the) guards in the NBA," Lemon says without rancor or bitterness. "It's about someone taking a chance and giving me a look." It's the refrain of many in minor league sports everywhere; just one look. But it really seems to be the dilemma for the 26-year-old, 6-3 guard from Julian High School and Bradley U. who has developed into a premier attacking point guard. Lemon is second in the G-league in assists, averaging 21 points overall after starting the season with the Boston Celtics G-league team in Maine. He's about a 30 percent three-point shooter, but is a good mid range shooter with an attacking game that has enabled teammates' shooting percentages to rise. "If you put the ball in Walt's hands, he'll make plays for you," says Henry of the slick left hander. "His ability to get downhill is unique. Walt really has been a late bloomer. He was a defensive guy at Bradley, not a point. He went overseas (after not being drafted in 2014) and has developed by leaps and bounds. If an NBA team needs a backup point, you can put the ball in his hands and he'll get downhill and make plays, run pick and roll. He creates a ton of threes. He probably should take more, but it's how many he creates with his ability to get downhill. I know he's one of the tougher guards to prepare against. We didn't beat him once last year. To me, he's the best guard in the league." Nice to hear, but at 26 it becomes something of a crossroads for a player like Lemon. Lemon is easily skilled enough to be in the NBA. But there haven't been quite as many 10-day contracts lately amidst the lottery priority. Others have turned briefly to veterans, like Isaiah Canaan, Corey Brewer and John Jenkins. So Lemon keeps Windy City on the run with some of the niftiest playmaking in the league. It's both a point of pride and some frustration for a player with NBA skills. It looked like Lemon might get a chance this season after signing a two-way contract with the Celtics following stints in Turkey, Hungary, Germany and Greece and last year in Ft. Wayne of the G-league. Coming into this season, the SB Nation website rated him the No. 2 player in the G-league. He was averaging almost 24 points for Maine—still their leading scorer this season—when he had a falling out with the coach, which was unprecedented for him over years in the G-league and overseas. He fears it stained him with some NBA teams, though it seemed simple personality and philosophy. Lemon got some revenge Wednesday in Windy City's overtime win over Maine with 29 points, eight assists, six rebounds, three steals and what seemed like the game winning shot in regulation with .04 before an unlikely tie forced Lemon to make the deciding jumper in overtime. Ft. Wayne quickly resigned him after he was released by Maine after 10 games, and then Windy City traded for him after losing Ulis. "It's been a good experience for me here," Lemon said before practice earlier this week. "Coach gave me another opportunity to show I'm a valuable piece and not what my last situation perceived me to be. I'm grateful for that and humbled by it. Windy City has allowed me to come in and play my game right away, help the team pick up some momentum from the rocky start they were having." Lemon earned his way up to third team all-state as a Julian senior and played four years at Bradley, where he got his degree as a top honor roll student and community volunteer. But most NBA teams tend to dismiss seniors in the quest for potential breakthrough stars. And you eventually have to go to work. ...you learn to control what you can control. I honestly don't know (what comes next). My focus is on this team and leading this team to a deep playoff push. "All my life, I felt I was under the radar," said Lemon. "In college, I was kind of forced into the point guard position because we didn't have a point guard. I'll admit I didn't really know about being a point guard. So I had a lot of turnovers. I didn't really know how to set up an opponent and be a distributor. I thought too much as a scorer (No. 7 all-time Bradley scorer). I had to change my thinking. By having the ball in my hands, I'll get attention and that gives my guys more space to get open and score as the point guard I've become. "This year has been big for me to show that I'm not just a scorer, but someone who can use the keys if you give the keys to the team and be a leader on the floor," says Lemon. "Part of this year has been a battle about getting a chance after what some heard about me. It's crazy because I've never had that with all the coaches and teammates and places. But one place cannot define you. You wonder if it's part of the reason some teams won't take a chance, but there always are other reasons. I leave everything in God's hands and continue to do what I am doing and continue to work hard. But I'm glad it did happen because it helped me grow and learn to handle that kind of situation." Lemon's coach and teammates attest to his devotion and talent, but he also knows time is running out when you reach your mid-20s in basketball. "It is difficult," Lemon admits. "You see others getting calls, guys you played against and destroyed. I wouldn't be human if I said I didn't get frustrated from time to time. But you learn to control what you can control. I honestly don't know (what comes next). My focus is on this team and leading this team to a deep playoff push. I just know I have to keep working on my game and for my team."